Happy Father’s Day! I was blessed to have a very good father. He’s been gone for 20 months now, but I smile every time I think about him. I’m a lot like Dad (except for the receding hairline!) and I know he was always proud of me. As a farmer, he could have wanted sons to take over the farm, but never once did I feel that he’d rather have had sons than two daughters. He always supported me. I don’t think he really “got” the heirloom sewing career, except that he knew I always liked pretty dresses. But he didn’t really care – if I was happy, he was happy. Then I started quilting. 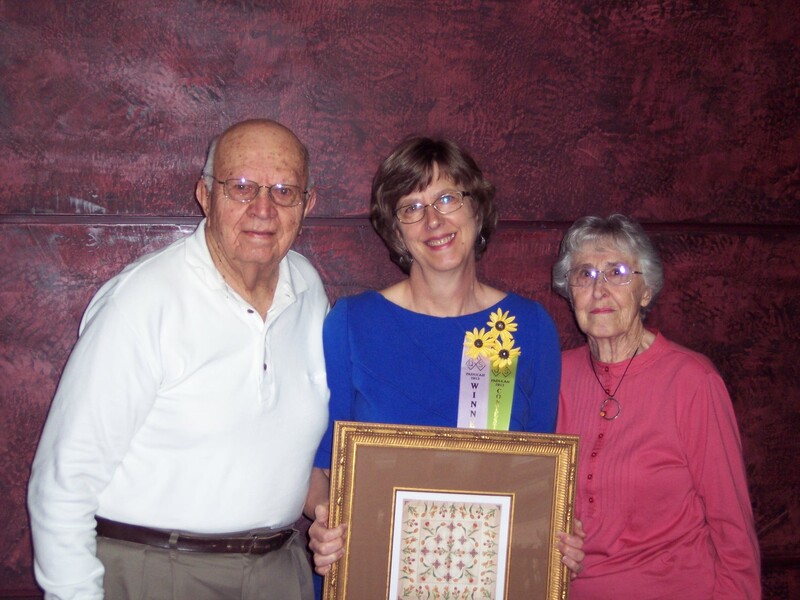 When my first quilt was not just accepted into Houston in 2004, but I got a phone call that it had won a ribbon, I asked him if he and Mom would like to take me down there in their motor home. When we walked into that huge show, he said in amazement, “My mother would have loved this!” And indeed she would have! That was the beginning of 18 trips with them to Houston and Paducah! I think Dad thoroughly enjoyed those trips. I am still amazed at how cool he was driving that big old motor home through Dallas! Once, at a truck stop getting fuel for the motor home, I got out and went into the convenience store. The trucker at the next bay looked at Dad, looked at me, looked at Dad again, and said, “Good lookin’ woman you got there.” Dad didn’t blink an eye, and replied, “I did all right for myself, didn’t I?” never letting on that I was his daughter, not his wife! He was so pleased with himself! Mark went with me a few times, but he was working, and usually it was just Mom, Dad, and me. I had quilts in all but one of those shows, I think, and I was fortunate to win ribbons at most of them – and big ribbons at some. Dad would go to the award ceremonies, and to the preview nights. All he wanted to see was me with my quilt. The crowd noise really bothered him with his hearing aids, and the huge venues and concrete floors bothered his back. But he delighted in taking Mom and me! This picture was at Houston in 2012. My world would change a lot in the next year. This picture was taken at Paducah in 2013; it was shortly after David died. 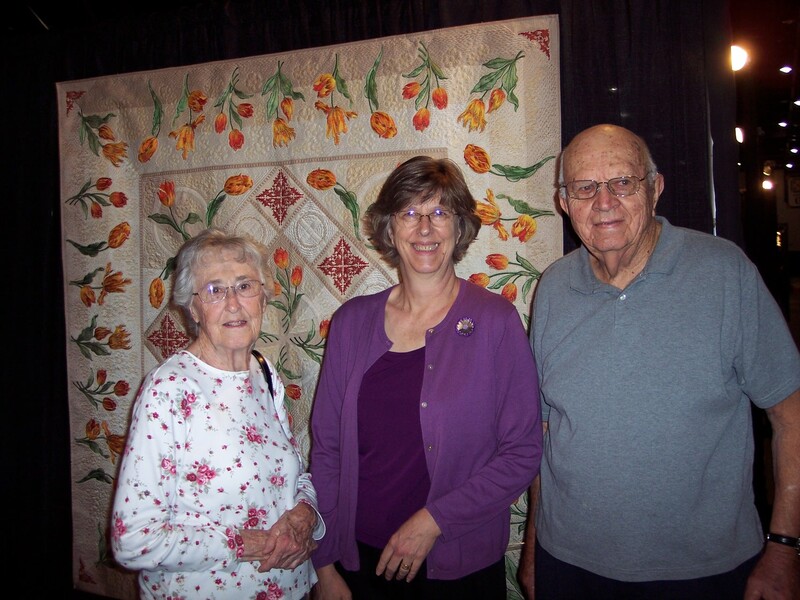 This was the last quilt show Dad went to, and I think this is the last photo of me with him. 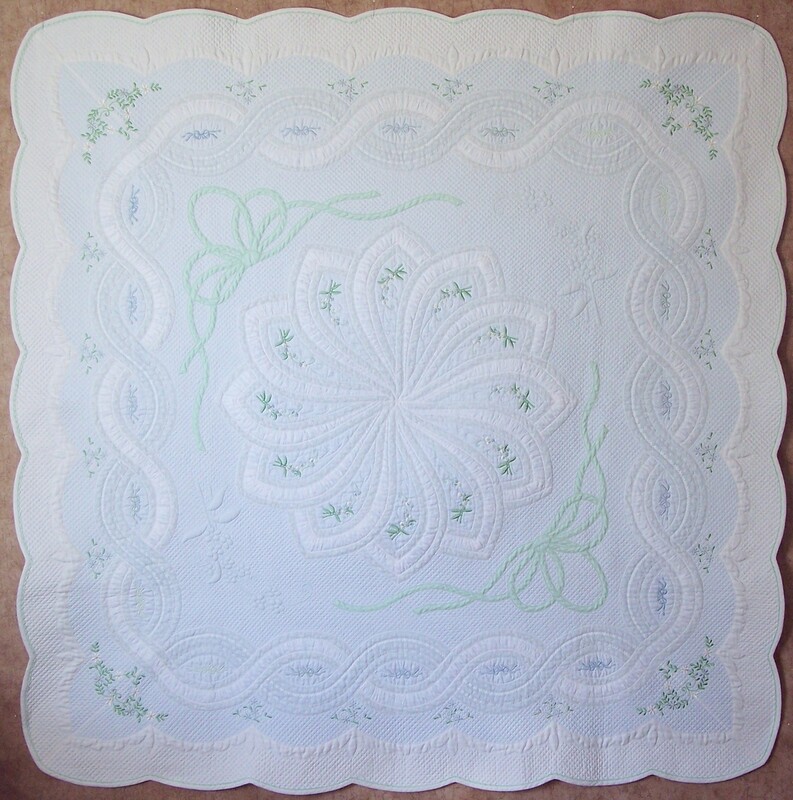 This entry was posted in Uncategorized and tagged Family, Machine Embroidery, Quilts by susanstewartdesigns. Bookmark the permalink. Awwww. Great guy to go the the quilt shows with you and your Mom. Good times, good memories. Happy Father’s Day to him. 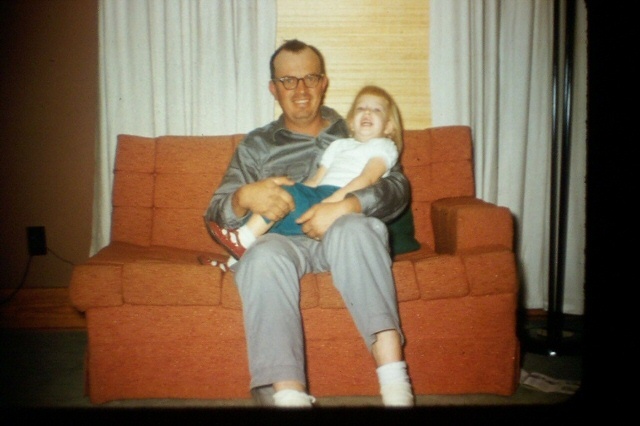 What nice memories of your Dad on this Father’s Day – love to get your e-mails. A beautiful tribute to your dad. 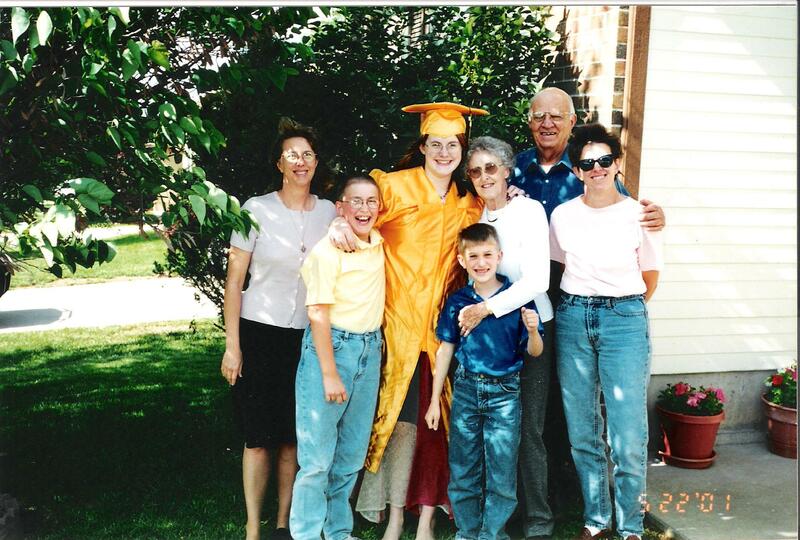 Continue to talk and share stories about those you loved who are gone. As long as you do, they are still here among us. I will be thinking all day of your dad and the twinkle in his eye as he replied to the trucker. I feel sure my dad would have done the same. Have a blessed day, Susan. How awesome it must be to have such a wonderful father. Loved the story about your Dad. Families are so important.